AS we begin to pack up the Jetta for the trip to Cleveland, an ISIS-inspired lone loser has devastated Nice by turning driving into terror, after the shooter in Dallas turned cop-killing into terror, and speculations abound about what particular kind of terror will hit Cleveland this week. We credentialed ones will certainly be outgunned, as weapons are banned from inside the Q, but not on the streets outside, where Ohio’s Open Carry law is going to make it difficult to tell the Bad Guys with Guns from the Good Guys with Guns. Welcome to Trumped America, where everything is permitted and nothing is required. How do you like it so far? Tim Tebow’s in, Tim Tebow’s out. Don King’s in and out. Sarah Palin’s cagey. Mike Pence is almost definitely in. It’s not Mike Ditka’s kind of thing. You’re all fired but me. I’m the new Decider. I do it with Tweets. I’m going to win so much you’re going to get sick of me winning. I’m winning good, aren’t I Mommy? Melania? Ivanka? I’m big and strong and good and winning, and everything is fine. Everything is tremendous. Believe me. Remember that. 500 Cleveland police, 2500 officers from California, Texas, and Florida, and 3000 Department of Homeland Security personnel. 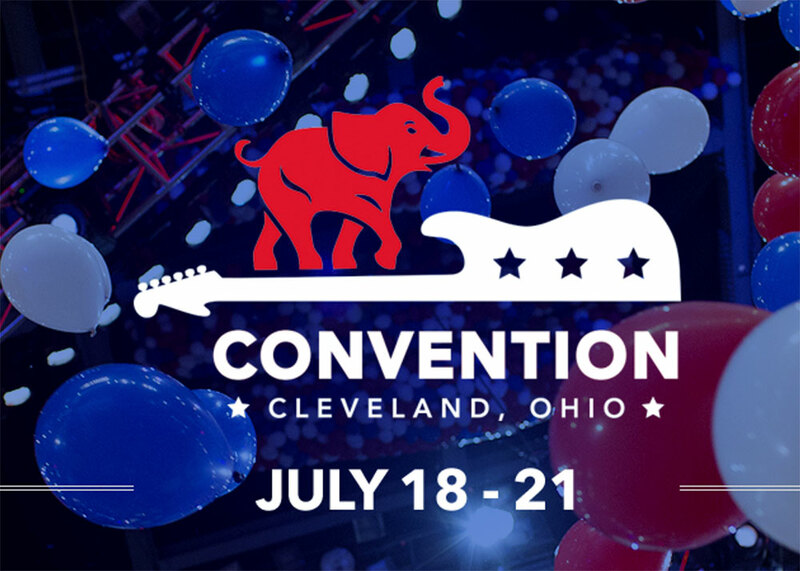 An extra $50 million for convention security. Jails for 975 arrested protesters, 12 judges working 20-hour shifts in courts open 20 hours a day. 2000 sets of riot gear, 2000 steel batons, 24 sets of bulletproof vests and helmets, 10,000 sets of plastic handcuffs. For the first time in their history, Amnesty International is sending human rights observers to the conventions. CNN said, “The multinational human rights organization typically sends monitors to document elections, transitions of power and public unrest in countries around the globe riven by civil war or ruled by autocrats.” Amnesty will have to decide whether to concentrate on the coup in Turkey or the one in Cleveland. Permitted protesters in Cleveland include the Westboro Baptist Church from Kansas (“Thank God for Dead Soldiers”), and Andrew Purchin, from Santa Cruz, California (event name: “The Curious End to the War Against Ourselves”), in addition to Blood & Honor and Bikers for Trump.